Elon Musk plans to build a test track for a high-speed Hyperloop transportation system, most likely in Texas, he tweeted on Thursday. 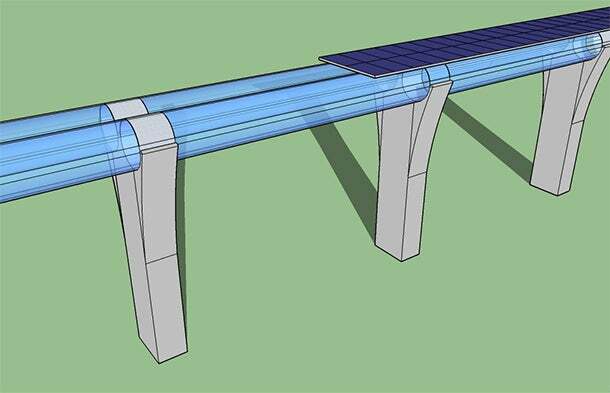 Will be building a Hyperloop test track for companies and student teams to test out their pods. Most likely in Texas. The system would allow passengers to zoom in pods through systems of tubes at speeds of at least 600 miles per hour, which would easily outpace current high-speed rail systems. Companies and students could test out their pods at the test track, Musk said. Previous reports have indicated that the Hyperloop system—plans for which Musk unveiled in 2013— could chop a trip from Los Angeles to San Francisco to about 30 minutes for less than the cost of an airline ticket. Hyperloop Transportation Technologies, a crowd-funded organization unaffiliated with Musk that has worked to develop the concept, could not immediately be reached to comment on its knowledge of plans for a test track. Tesla Motors and Musk, its chief executive, have repeatedly undertaken efforts in Texas to ease its restrictions on direct auto sales. Model of the Hyperloop system as described by Elon Musk. He added that he would consider holding a "pod racer competition" for students at the test track. —CNBC's Phil LeBeau and NBC News contributed to this report.